See also the​ "Calendar Tab" above and the "Upcoming Events" column on the right. ​For information and to download scholarship application forms, visit our "Forms" page. 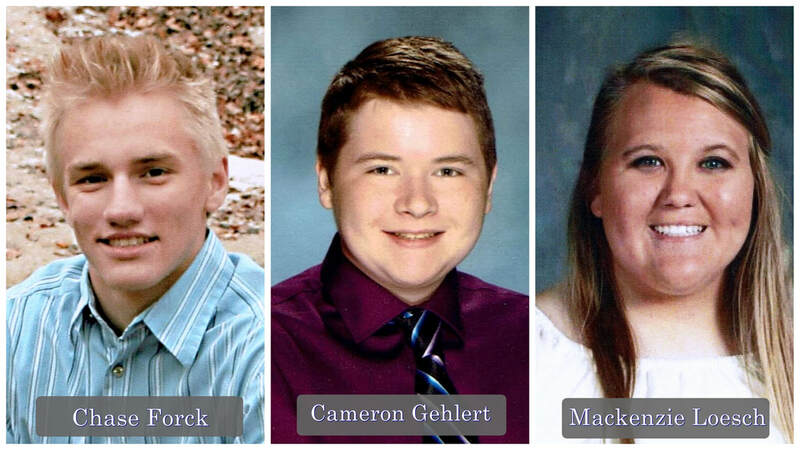 Congratulations Chase, Cameron, & Mackenzie! 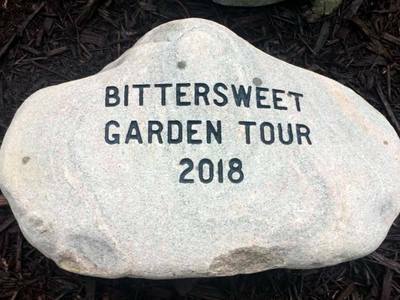 shared their gardens with other garden-lovers during the 2018 tour. ﻿Do you know of a garden we should consider for future tours? NEVER MISS A GARDEN TOUR! SIGN UP to receive notification each spring of upcoming garden tour details. Note: We ONLY send emails about our tour and we DO NOT share our mailing list with anyone...EVER. Interested in connecting with gardening friends? ​Contact Us to learn more about Bittersweet Garden Club. 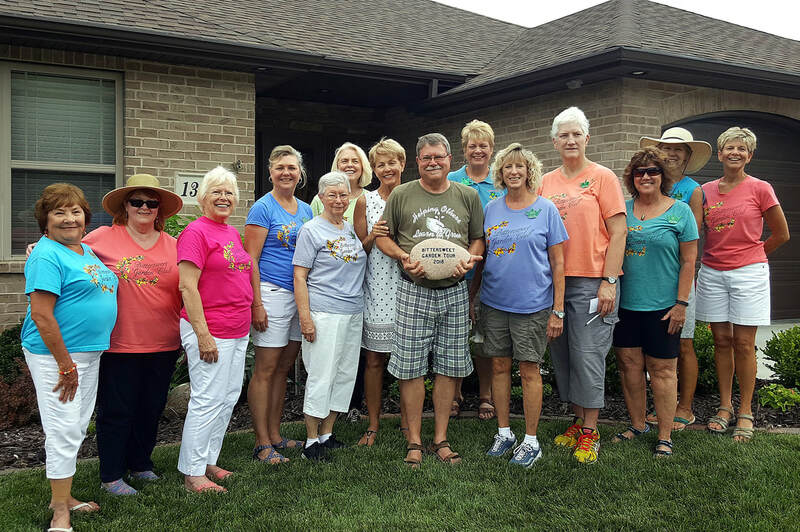 Every month members gather on the second Wednesday (usually at Hy-Vee) to meet old friends and make ones. It's a fun time of sharing and visiting in a relaxed atmosphere. Come join us for a cup of coffee, soft drink, or just a visit. 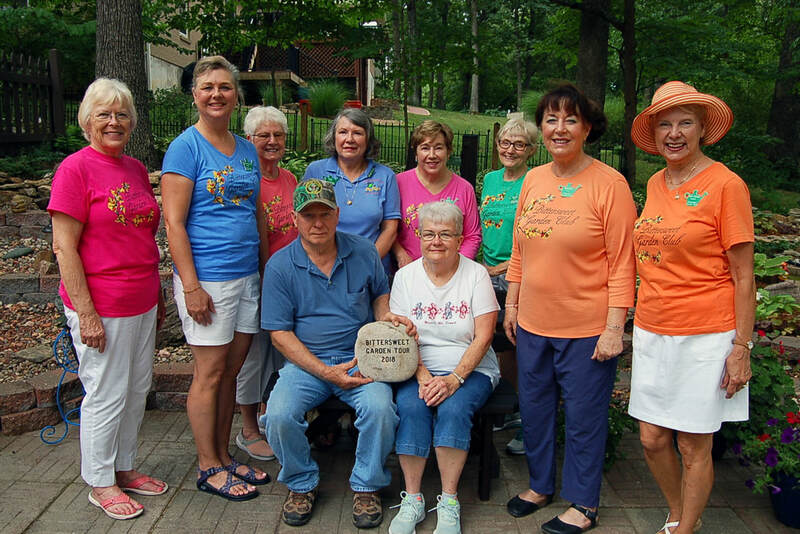 ​​Program: “How My Garden Feeds My Soul"
Alice and Barb, two seasoned Bittersweeties, will share their best experiences in their gardens. We'll tour the Curly Eye Alpaca Farm, a small, family farm in Columbia. We'll meet and greet their alpacas and babies, feel their soft coats and shop their store. Alpaca is three times warmer than wool but lighter and hypoallergenic. We'll follow that visit by a fabulous meal at one of Columbia's great restaurants then head to Helmi's Garden Center before heading home. If you haven't visited Helmi's you're in for a treat. It has unusual plants and gift items. 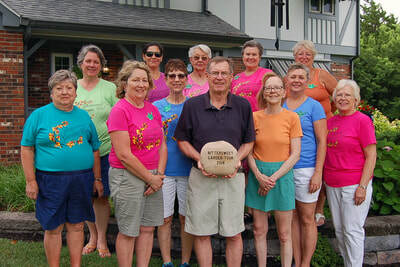 ​​Program: “Raising Heirloom Apple Trees: a Family Experience"
David and Jennifer planted a commercial size fruit-tree orchard in 1980, primarily with heirloom varieties not usually planted in modern orchards. 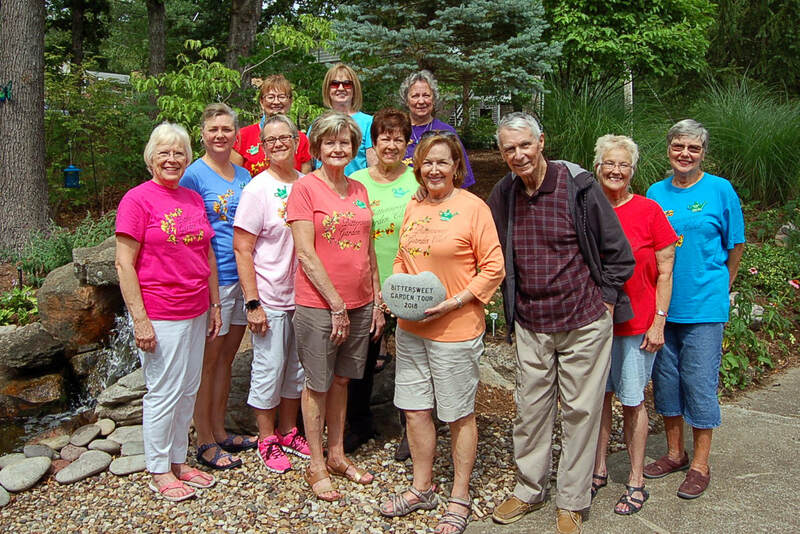 The Urichs will share their 39 years of apple-growing experience, describe the unique challenges presented by heirloom varieties, and discuss their recommendations for managing fruit trees in the central Missouri climate. Jennifer is also a Bittersweet member. 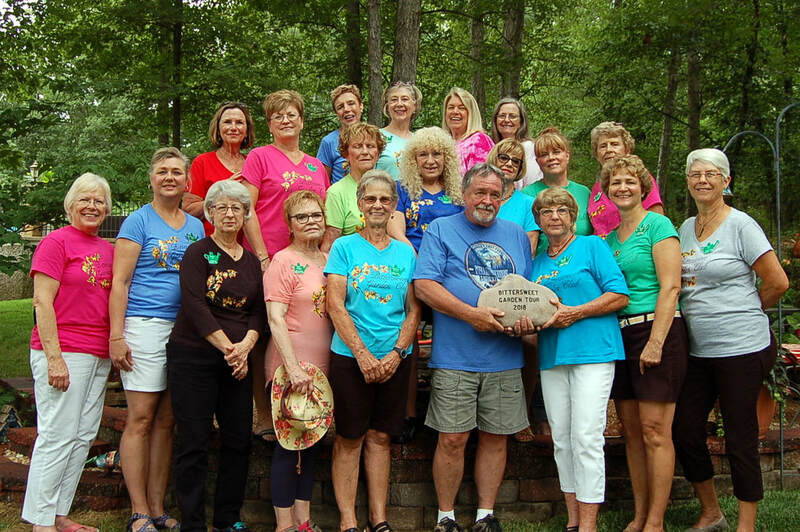 Kimmswick is the perfect place for a day trip, just a short distance south of St. Louis. We have the opportunity to participate in a 3-hour cooking class (including lunch) with Mary Hostetter, renowned owner of the famous Blue Owl Restaurant. Included is a visit to Fredmar Farms, the stately 95-year old Anheuser Estate and its beautiful 23-acre park-like setting. There will still be time to browse 20 unique shops, many housed in original buildings dating from 1859, before heading home. Alice and Rosella, co-chairs for the Bittersweet Garden Tour, will facilitate preparation for the 20th Annual Bittersweet Garden Tour, including the distribution of tickets and yard signs. Be sure to attend this very important meeting. On the Botanical Wonders tour of the zoo, see elephant ears and Bengal tiger cannas and more. A horticulture manager will lead a fascinating and educational one-hour walking-tour. Experience the flora in the immersion exhibit, River's Edge. Then take a 3-hour, easy-paced, walking food-tour led by local guides that mixes delicious food and drink tastings with an insider’s view into the history, culture and architecture that define the Soulard neighborhood.